Between the dry spell we had in Florida and my summer travels, I had not been on a river since the Hillsborough in May. I had hopes of paddling Fisheating Creek next, and I was watching the water level. Feeling a bit impatient, I took a quick trip back to the Loxachatchee in Jupiter, to try out another section. Previously, I had paddled the Riverbend stretch of the river. When I arrived this day, I found that the Jonathan Dickinson Park run would not open until the following week (The outfitters shuttle you from Jonathan Dickinson back to Riverbend Park. ), so I opted for their most popular paddle, Cypress Canopy. My trip began at the Canoe Outfitters in the Park. I entered the cypress swamp and paddled the twisted waterway to the I-95 overpass and returned, apparently only 3.5 miles. (It took me 3.5 hours.) 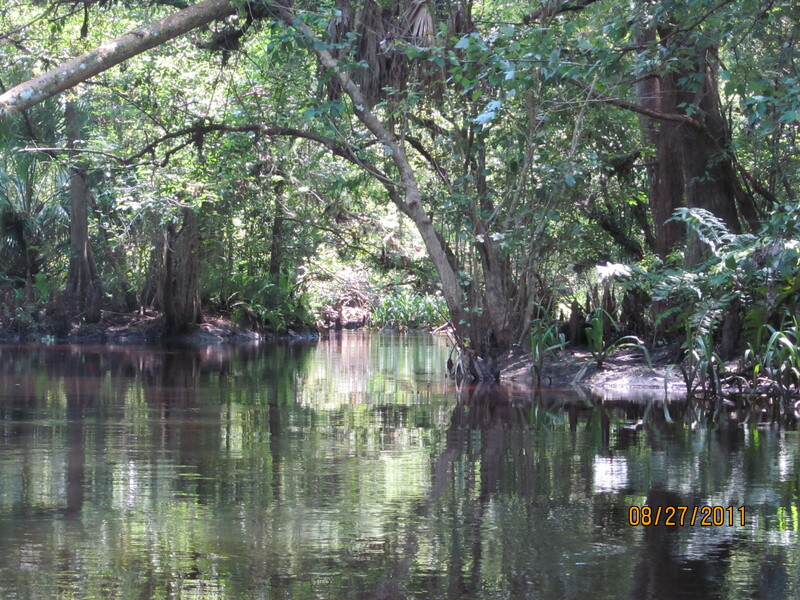 Along the way, I passed many other paddlers, an occasional turtle sitting on a fallen log, a limpkin, and an alligator. Although the birds shied away from the busy river, I could hear them in the trees and spotted an occasional heron and woodpecker in flight. This stretch of the river has two small dams to navigate–either over or around. I was able to paddle over each. (For the larger one, several paddlers below me promised to catch my gear if I capsized.) I learned that the secret to success was not to pause at the top but to pick up some speed and shoot straight through! themed chess pieces. 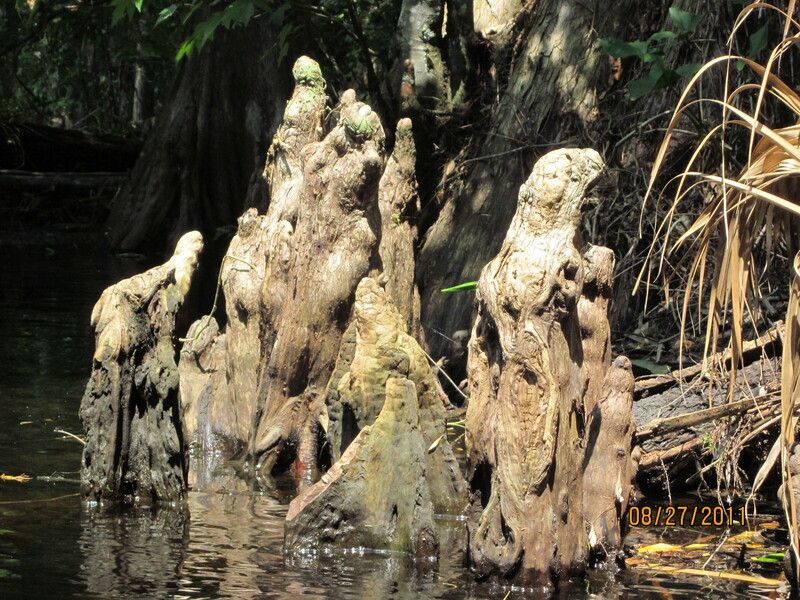 Ferns hung over the banks, and swamp lillies poked their blooms from the brush. Admittedly, I like the serenity of a quiet river, one with fewer people on it! That’s when the wildlife comes out to play. However, on this hot Saturday afternoon, I enjoyed watching families spend time together, two or three to a vessel, paddling one of Florida’s lovely rivers. Impressive pictures and portrayed description of a fabulous journey through nature. What is more impressive is the distance and the speed of the Kayaking.! I can tell now that I ‘m out of shape but I still have neon in my veins..LOL! !